Playfulness is a sign of emotional wellness. Playing with your children is a great use of time. Parenting can be a roller coaster. It is sometimes joyful, sometimes worrisome. Sometimes it’s a source of enormous satisfaction, and other times incredible doubt and frustration. Though children grow older, maturation is not inevitable. We have all encountered evidence of this. We want the best for our children. As parents, we have enormous responsibility, and incredible competition for our children’s attention. We love them dearly, and they can bring out our very best. Parenting sometimes provokes our very worst. Children don’t come with an instruction manual, and what is “common” may or may not be the best for our children. As parents, we often find ourselves unsure where to turn. Well-meaning friends, school personnel and family sometimes provide conflicting advice, or suggestions that we vowed we would never resort to. Parent Consulting provides expertise and a personal response to important questions. The good news is that how best to foster children’s healthy development has been the interest of scholars for hundreds of years. Though multiple theories competed for the authoritative voice in interpreting children’s behaviour, the last 20+ years of brain science has brought some clear answers. The ability to see the living brain at work has confirmed what many have believed all along – children’s emotional health is the key to maturation and unlocking potential. Even the potential to think and reason, it turns out, relies on maturing emotionally. Michele has worked with children, youth and families for 30 years. She brings the benefit of experience, specialized education in couple and family therapy, and advanced studies with Dr. Gordon Neufeld. 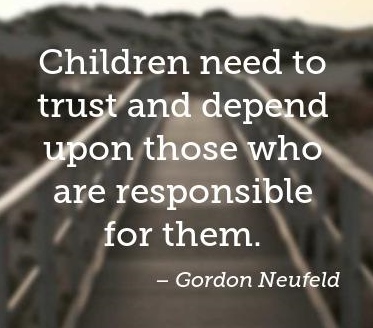 Dr. Neufeld is an internationally recognized, foremost authority on child development. Michele is well-placed to support parents to make sense of and foster emotional growth for the children in their care. Parents know their own children best. Paired with Michele’s understanding of children, development, emotions, and relationships, together we can identify and make progress toward natural resolutions to the most complex parenting concerns. When your child seems troubled, their hurt is your hurt. Understandably, parents have usually tried a number of things before calling a parent consultant. The concerns may feel time-sensitive as the trouble has sometimes been going on for some time. Different from typical counselling, parent consulting is just that; a consultation. Most current approaches encourage parents to hand over their children to experts who are unfamiliar with the child, and no one is as invested in your child’s well-being as you; their parents. Parents are the rightful leaders, decision-makers and experts in their child’s life. 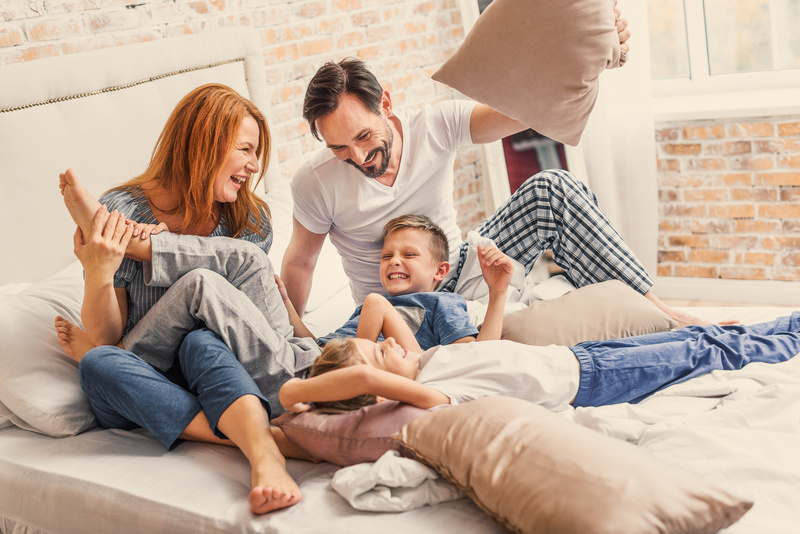 A parent consultant assesses multiple factors, shares insight, and supports the parents to identify and resolve any blocks to the child’s continued development of their potential.Parents ARE the answer to their children’s deepest needs. Parent Consulting seeks to restore the “right relationship” between parent and child. Booking an appointment is easy. Michele has consulted with parents since 1987, and continues to study the latest from the field of neuroscience and its application through Dr. Neufeld’s relationship-based developmental approach. As part of the Neufeld Institute Parent Consulting advanced training group, Michele provides one-on-one personalized consultation with parents for a wide range of parenting concerns. Of all your options, Parent Consulting provides the most specific, timely and tailored response to parents’ questions and concerns. Parent Consulting is available in person or by web-based private meetings. Michele is a certified facilitator, parent consultant and faculty intern with the non-profit Neufeld Institute, where parents, caregivers, and professionals may access over 20 courses developed by Dr. Gordon Neufeld. Sometimes parents’ concerns are not urgent, and parents are really looking at gaining insight that will answer many of their parenting questions over time. In this case, taking a course or two might be a great way to take in these insights about children. Many parents find the foundational course, “The Power to Parent” 3-part-series is exactly what they’re looking for. This flagship series offers a broad overview with specific strategies for a range of parenting issues, and many parents enjoy taking this series as a couple. Having a common language and approach can be a great investment for co-parenting, and benefits everyone in your family. Sometimes parents have a specific, and moderately concerning situation that a single course could shed just the insight they need. These single and smaller courses meet the needs of many parents, such as “Making Sense of Anxiety” or “Making Sense of Preschoolers”. All courses are available online, several in multiple languages. A number of courses are offered in Langley, facilitated by Michele. Online courses offer the widest choice of topics, the convenience of studying at home, at your pace. Online courses offer access to a facilitated discussion forum, and “live” online courses include interactive discussion classes for questions. Live online courses are generally offered once per year through the Neufeld Institute. Self-paced courses are offered anytime with no waiting. In-person courses in Langley offer a more interactive experience, with opportunities to ask questions live. If a course is not currently scheduled in Langley, and a group of people are interested, Michele is happy to schedule an in-person or web-based course for your group/school/parent association. Michele is certified to facilitate several courses, and is familiar with all courses. Please feel free to ask which courses might be most relevant to your family. Most courses through the Neufeld Institute are available on DVD. This option is affordable, flexible, and allows you to purchase the DVD to study at home. DVD courses do not offer the benefit of a facilitator for asking questions, but can be an excellent add-on to Parent Consulting. If parents are interested in reading more about the best of science on development, emotions, and relationships, Michele has copies of Dr. Neufeld’s bestselling book “Hold On to Your Kids” as well as the latest book by Neufeld Faculty, Dr. Deborah MacNamara, “Rest, Play, Grow: Making Sense of Preschoolers or Anyone Who Acts Like One” available for purchase. Books are very affordable, and offer in-depth information. Reading can also be a great add-on to Parent Consulting. Call, text (604-367-3060) or book online. I look forward to speaking with you.